This month marks the 50th anniversary of the wave of radical revolts and revolutionary uprisings that startled the world in 1968 and which, although ultimately crushed by the forces of reaction that dominate the world to this day, left in its wake rights so fundamental that we tend to take them for granted — sexual freedom, civil rights, women’s’ equality. Yet a half-century later these hard-won liberties are under attack and people are once again rising to defend them. Today in France, where in 1968 a student-worker rebellion led to a weeks-long of general strike, the students have once again occupied the universities, while the railroad workers, airline, and public service workers are striking against the counter-reforms being imposed by the autocratic, neo-liberal President Macron. Following the example of the ’68, these diverse groups are hoping to unite and force the government to cease their attacks on public services and working peoples’ standard of living. We need to recover the memory of how it felt to be actors in the process of history, to come out of the shadows and occupy the stage of our political lives. In the United States as well, a wave of spontaneous strikes by underpaid, overworked, idealistic Red State teachers backed by public opinion is making sweeping gains, and movements like #MeToo, #BlackLivesMatter and other post-Occupy anti-capitalist struggles are on the rise. Is there hope for real change? The first lesson of the May ’68 rebellion in France is that you never know when a sudden “breach” will open in the seamless wall of capitalist society. The explosion caught everyone by surprise. As Mitchell Abidor points out in the introduction to his fascinating May Made Me: An Oral History of the 1968 Uprising in France, the newspaper Le Monde was famously headlined “France Is Bored” on the very eve of what became a national rebellion. Similarly, in 2011, everyone was caught by surprise when a local protest spread from Tunisia across the Arab world and on to Greece, to the “revolution of the squares” in Europe and across the Atlantic to Wisconsin and the Occupy Wall Street” movement. To be sure, the international waves of radical movements of 1968 and 2011 reached a peak and eventually ebbed. The world capitalist system is still in place (in case you hadn’t noticed). But need I repeat Rosa Luxemburg’s famous dictum? “All revolutions are doomed to fail… except the last one.” Hope is always permitted. No is not enough. In these dark times of Trumpocracy, we rebels need to celebrate our own past glories and moments of triumph and joy. Aside from the historical lessons we might be able to learn from the successes and failures of the rebels of ’68, we need to recover the memory of how it felt to be actors in the process of history, to come out of the shadows and occupy the stage of our political lives. Oddly enough, there don’t seem to be too many books coming out about the French upheaval in English. So let us thank Mitch Abidor, the Brooklynite translator and writer, for having given us his “May Made Me in such timely fashion. In fact, as he saw the anniversary approaching, Abidor networked with his contacts in France (including this writer) and hied himself off to Paris with a notebook. Mitch Abidor: Did that last? Abidor supplies the reader with a helpful timeline of events in ’68 so we never feel lost among the personal recollections of his subjects, and his introduction provides a summary of the revolt and what led up to it — from the March 10 attack on the American Express office in Paris by student anti-Vietnam protesters through the weeks of mass demonstrations, strikes and factory occupations to June 16, when de Gaulle’s government finally restored “order” and outlawed the left-wing groups that threatened his government. Attempts to discipline the anti-Vietnam student demonstrators, led to the occupation of Nanterre University’s administration building and to the closing of the Sorbonne, where disciplinary hearings were to be held. Across the Atlantic, an identical scenario played out at Columbia University in April of that year. Amnesty for the disciplined anti-war students was one of the principle demands of the student occupations there, in which I personally took part. Similarly, the issue of “women in the dorms” played a crucial role in both student rebellions. Sexual liberation’s triumph over institutional puritanism was one of the great and lasting victories of the 1968. As a popular graffito on the walls of Paris put it: “The more I make love, the more I want to make revolution; the more I make revolution, the more I want to make love.” Several of Abidor’s female interviewees describe their sexual coming out in a moving way. Abidor struggles with this issue of whether to call it a “pre-revolutionary situation” or a “dress-rehearsal” for revolution, like Russia’s 1905. He sensibly settles on “uprising” or “revolt” or “rebellion” or simply with the generally accepted phrase “the May Events.” Of course, there is no doubt that many of the students and young workers who filled the occupied Sorbonne, the Odéon theater and participated in hundreds of general assemblies and action committees during the weeks when the government and bosses were on the defensive were talking and dreaming of revolution. “All Power to the Imagination” was their slogan. But none of them thought of actually taking power, and there were no plans or attempts to take over the National Assembly or any other similar power-center. There was plenty of violence, including the spectacular Night of the Barricades (May 10-11) when cars were burned and students dug up paving stones and stood off attacks of armored riot police, and later confrontations during demonstrations and the clearing of the occupied factories and campuses, but this was largely symbolic and spontaneous violence. Both the police and the strikers avoided the use of deadly force. Only three people actually died during the whole course of the “Events,” and their deaths were more or less accidental. Even the proverbial “student-worker alliance” proves ambiguous under the scrutiny of Abidor and his participant-witnesses. To be sure, it was the student uprising and its bloody repression that sparked the workers’ mass strike and factory occupations, and there were several massive student-worker demonstrations. However, the French Communist Party (FCP) and its affiliated union the General Confederation of Labor (CGT) used all its bureaucratically-enforced disciplinary authority to prevent any actual contact (“contamination”!) between the workers, barricaded inside their factories, and the students, who came streaming out to show their solidarity and talk with them. Moreover, the FPC/CGT, as Abidor points out in his introduction, far from harboring any thoughts of leading a “communist revolution” did everything to channel these wildcat strikes and uprisings into the well-worn reformist channels — elections and wage-negotiations with government and management. As a top-down, bureaucratic organization, the main goal of the Moscow-dominated party-union was to maintain its control over the working class and its institutional status as the unavoidable intermediary between the government and the workers. It is important to note that in France, the government pays up to 80 percent of the expenses of recognized unions, of which the CGT is the largest. Moreover, in 1968 everyone in France was aware that in Czechoslovakia the ruling Communist Party was having a similar problem, trying to put down a nationwide reform movement of workers and students demanding “socialism with a human face.” This Prague Spring was crushed by a “fraternal” invasion of Russian tanks a few months later. The FCP, considered the most rigidly “Stalinist” of communist parties, strongly supported this repression. 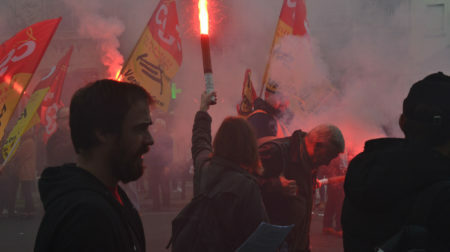 Within 48 hours of the spontaneous outbreak of the French general strike, the CGT was negotiating its end with the government, both parties desperate to bring things back to normal. On May 27, the two parties signed the Grenelle Agreement granting workers a significant pay raise and some benefits, but it took days for the CGT to convince the workers to accept the agreement and end their strikes and occupations, despite the use of coercion and lies, like telling workers in one shop that all the other shops had already gone back to work. Indeed, there were still 3.2 million workers out on strike on June 10, when the government declared the strike ‘over’ and sent militarized police to violently expel the workers from France’s largest auto factory. I beg to differ. There is no way, fifty years after the fact, for us to know what that unidentified French woman desired in her heart, be it “immediate socialism” or higher pay, as Abidor seems to think. The revolutionary potential of working people is a polemical point that has divided the left for generations, and post-Marxists like Abidor routinely dismiss their opponents as “romantic workerists,” stress the capitalist system’s infinite capacity to absorb opposition, and conclude, pessimistically, that “in the end [May ’68] paradoxically served to strengthen capitalism.” Abidor has elaborated on this position in a recent New York Review of Books article. Although respectful of this position, as an unreconstructed “workerist” I remain optimistic. Fifty years after May 1968, the vast majority of today’s working class are female, non-white, under thirty and living in places like Southeast Asia, where dreadful working conditions continue to produce violent class struggles. Meanwhile, in the U.S. and Europe, the “proletariat” has expanded to include teachers, nurses and other public services workers. 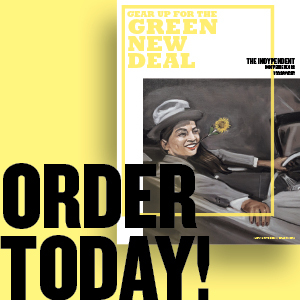 If there is one chance in a hundred to survive the 21st century, world capitalism must be overthrown, and the billions of working people have both the motivation and the mass power to lead that struggle to its logical end. I may be mistaken. No one can know what goes on inside the hearts and minds of masses of people in struggle, which change and develop as conditions ripen and confidence grows. But I would rather be an optimist, in order to encourage and build on spontaneous movements like today’s teacher strikes, than be a pessimist who sees no alternative to capitalism’s death-grip on the planet. In any case, revolutionary waves like 1968 inevitably take everyone by surprise, including pessimistic post-Marxist intellectuals, who, by coincidence, were holding a conference in Toulouse in May 1968 when the general strike broke out. Having concluded that the proletariat was “dead,” they were left stranded with no trains running. Putting aside polemics, the great strength of Abidor’s May Made Me is that it presents a variety of voices among participants, leaving the reader to ponder their testimony and make up her own mind. Fifty years later, Abidor has gathered the eye-opening oral testimonies of those then-young rebels. 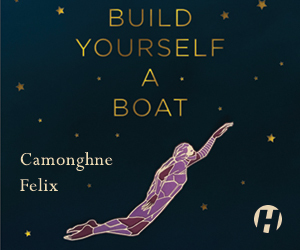 By listening to the voices of students and workers, as well as to those of their leaders, his oral history makes May ’68 appear as an event driven by millions of individuals, creating a mosaic and humanistic portrait of France at the time. We have every reason to thank him for his efforts and his honesty in presenting objectively facts and opinions that contradict his own ideological presuppositions. This is reader-supported news. Make a contribution now! 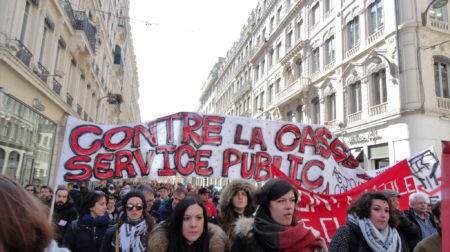 Photo: Students march in Toulouse. May 1968.